The leaves crunching beneath my shoes are shades of orange, yellow, and red. The temperature outside is steadily dropping. A bright pumpkin is sitting outside my window, waiting to be carved. It is beginning to feel like autumn should. At the start of a season full of cinnamon and nutmeg, I needed a new staple to liven up my baking repertoire. Since I adore apples (I eat one every day with lunch), it felt natural to play around with the ingredient a bit further. I first heard of boiled cider last spring, when it was used to add an extra touch to an apple pie. Since then, I have been hooked on the idea, anxiously awaiting fall to try it out in my baking. Boiled cider is just as it sounds—pure apple cider that has been boiled down into a rich, thick syrup. Boiled Cider has an seemingly endless possibility of uses, which is why am I so excited to have it on hand this fall. 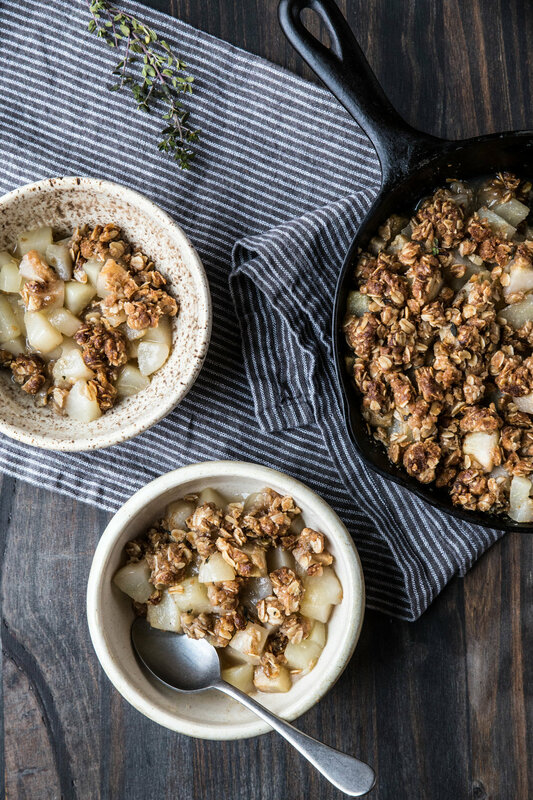 The syrup can be added to apple dishes to brighten and intensify the apple flavor, including applesauce, apple pie, apple crisp, or apple tarts. Boiled Cider can also be heated and drizzled over pancakes, as an alternative to maple syrup. For savory dishes, a spoonful or two can be used to season pork roasts or enhance meat sauces. The list goes on. Boiled Cider has a single ingredient, which makes it virtually impossible to mess up. I would suggest springing for a jug of pure apple cider found in the refrigerated section of the grocery store. It will boil down into a richer, more flavorful syrup than a juice that has been pasteurized. I did not specify a specific amount of juice in the recipe because it is not necessary. You can boil as much or as little cider as you please. Just keep an eye on the pot and, whenever you need another lungful of the delicious scent, give it a little stir. Boiled Cider is a versatile ingredient and autumn kitchen staple. 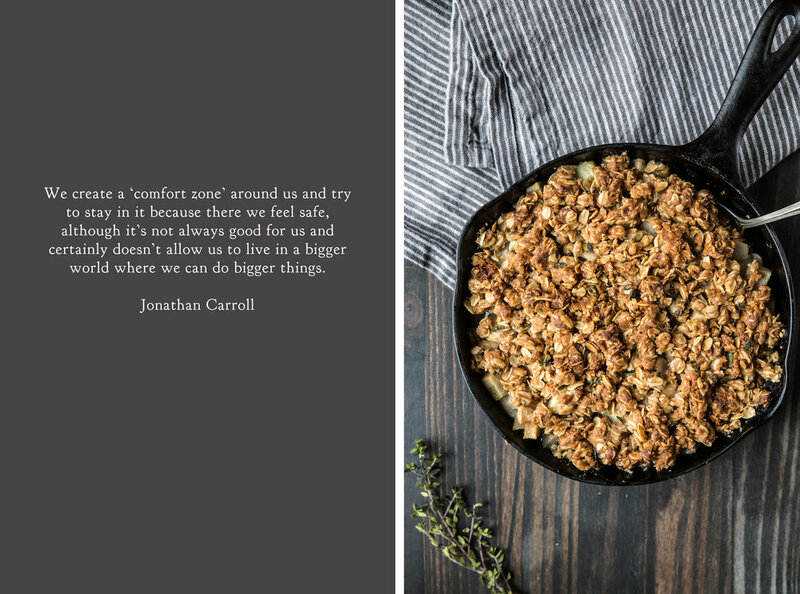 A spoonful can be added to sweet and savory dishes to lend a bold, welcoming apple flavor. As a bonus, while the cider boils down, it makes the whole house fragrant with the scents of the season. In a large pot, pour in the apple cider. Take a wooden chopstick or skewer, place it into the liquid, and mark the height of the apple juice onto the wood. Remove the chopstick and mark the wood into thirds. This will help you keep track of the progress of the cider. Bring the apple juice to a boil, lower the heat, and simmer until it is 1/3 of the original volume. Stir and check frequently with the chopstick to judge how far the juice volume has decreased. Depending on the amount of cider, it can take anywhere from 30 minutes to a few hours to boil down into a thick syrup. If fresh apple cider was used, run the syrup through a fine mesh strainer to remove any solids. Store in an airtight container in the refrigerator.